With careful planning, some old buildings can be updated to serve a new, useful purpose. 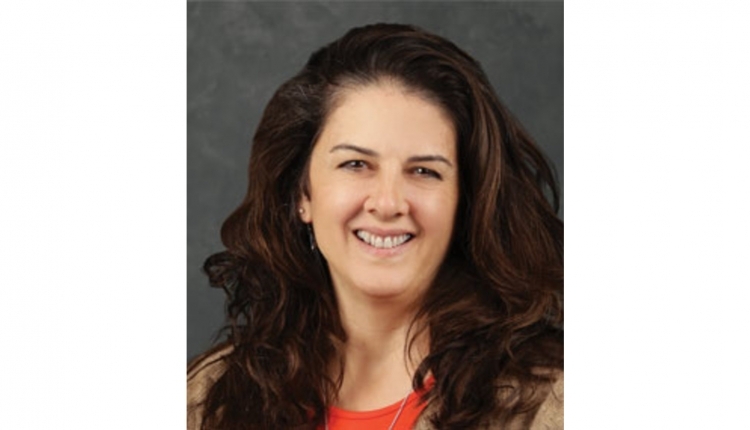 The author is a professor and extension engineer in the department of bioproducts and biosystems engineering at the University of Minnesota, St. Paul. When considering a building remodel, think of the costs. If the price to remodel approaches half the cost of a new building, take a step back and evaluate how useful the barn will be before making the investment. 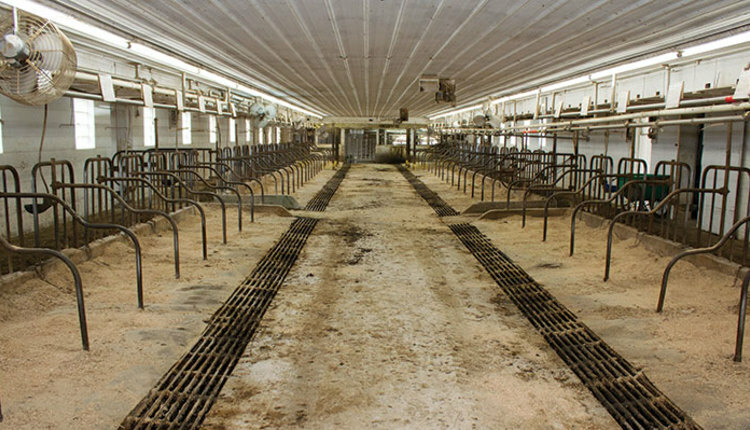 Many dairy farms have old buildings and sheds that owners would like to make more useful, but these buildings present a challenge. Can they be remodeled and repurposed economically to add value to the operation, or are the facilities best left alone or torn down? When considering whether to remodel an existing building or not, you are starting with a structure at a specific location with a given size and condition. That may limit your options or require expensive changes to make the building useful. A key to successful remodeling is making sure that the remodeled building provides useful space that fits your management plan and is easy to use. The decision whether to remodel an old barn or shed depends on the building’s location, structural soundness, roof condition, size, and the proposed purpose. Location is critical because it affects labor requirements, traffic patterns, ventilation, manure management, and other activities. Do not spend time and money remodeling buildings in inconvenient spots or in low-lying, wet areas. Structural soundness is a critical consideration. One producer was interested in remodeling an old two-story block dairy barn on a slight slope. Unfortunately, the barn had a large crack in the wall above a section of foundation that had shifted because of hillside erosion. Along with other problems, the building was not structurally sound, and repair costs were expected to make the remodeling very expensive. 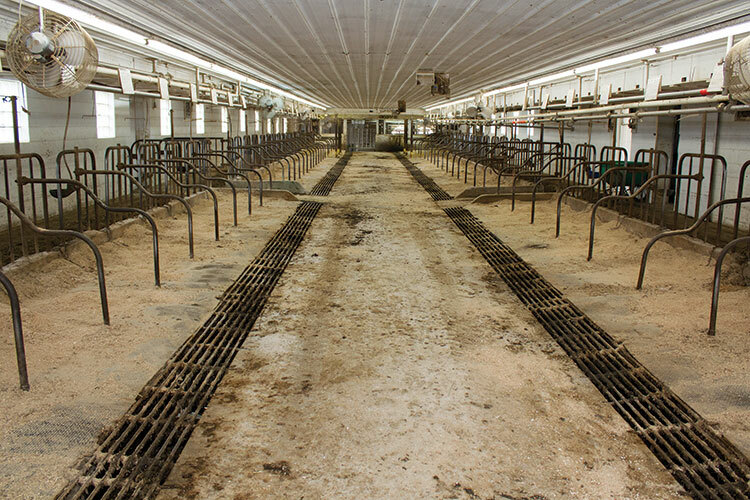 Many old two-story stanchion dairy barns have been successfully remodeled into milking centers with low-cost parlors. 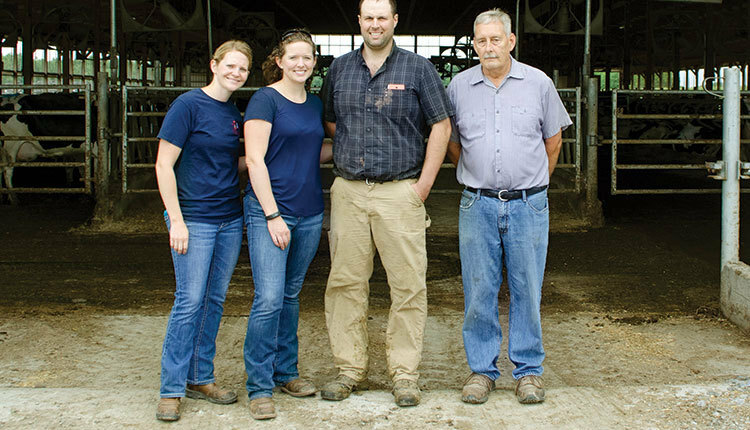 David Kammel from the University of Wisconsin-Madison has spoken often about the options and decisions dairy farmers have made when installing low-cost parlors and holding areas in remodeled dairy barns. 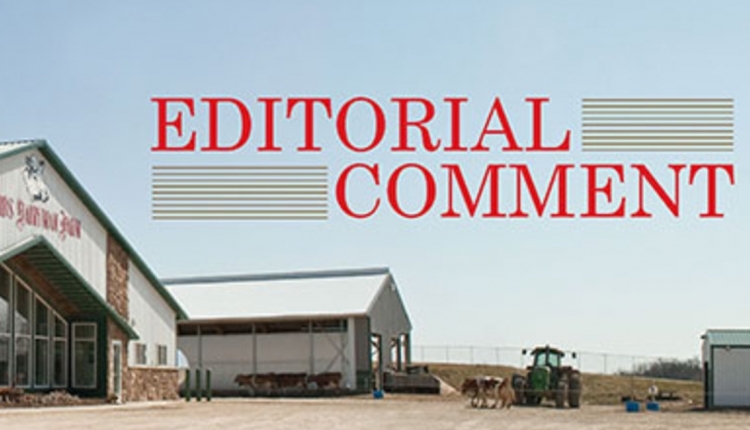 Pole barns and machine sheds have been repurposed to improve the housing available for lactating or dry cows, heifers, or calves. This works if the buildings were in a good location and in good condition. These buildings usually have the advantage that they have plenty of height and a nice clear open area that allows pens, mangers, and gates to be located in a way that makes best use of the space. One producer had a nice pole barn with uninsulated metal sides and roof that was being remodeled to house far-off cows on a bedded pack. One end of the building had an insulated and heated machine shop. Three sides of the proposed cow area had no openings for ventilation. There were two large sliding doors in the east wall, but they did not provide enough ventilation. The remodeling involved a nice pen layout with drive-by feeding under roof, opening the ridge to use natural ventilation, and adding doors in the west wall for more ventilation in warm weather. Mixing fans are a future option if the additional doors and open ridge were not sufficient. Remodeling and repurposing an existing building requires just as much or more planning as new construction because the project will often require making tough decisions between the ideal, what is practical, and total costs. If you don’t do enough planning before plunging into a remodeling project, you may end up with a space that is hard to use or doesn’t provide the environment your animals need to perform well. In these cases, the time and money you spent on the project were wasted. When planning a remodeling project, think about animal movement in and out of the building; bedding and manure handling; ventilation in hot and cold weather; people access and labor efficiency; feed preparation and handling; water and electricity availability; equipment access; and animal needs (stall or pen size). All of these factors affect a building’s usefulness. An unsolvable problem or expensive solution might make remodeling a bad option. Be careful when accepting compromises for a remodeling project, especially if you plan to use the building for more than a few years. Remodeled buildings that house animals should perform as well as a new barn. The space needs to have clean, dry, and comfortable resting areas, plenty of fresh air, and easy access to clean fresh feed and water. Remodeled buildings should also be easy to work in. Ceiling height can pose challenges when remodeling. Old barns with 8-foot ceilings or less can make skid loader and other equipment access, ventilation, and lighting difficult. Low ceilings may require more hand labor for feeding, bedding, and manure removal. They can also make it hard to use a positive pressure tube system because the tubes hang too low. Low ceilings can make it difficult to install lighting without the risk of damage from animals and equipment. The ceiling in two-story barns can be removed and replaced with structural members mounted higher to provide more height and maintain structural integrity. Floor joist removal will require a structural engineer to design the bracing needed to maintain the building’s integrity. Care must be taken to maintain structural integrity if new doorways are installed or load-bearing posts are moved during remodeling. Proper ventilation is critical to providing an acceptable environment. The ventilating system needs to distribute plenty of fresh air uniformly throughout the animal occupied areas without creating drafts. One producer remodeling a two-story dairy barn for heifers removed some floor boards from the unused haymow to enhance natural ventilation. Additional openings were also added to the haymow ends. Not enough boards were removed to weaken the structural integrity of the barn. In this case, safety was a concern for anyone going into the haymow because they could fall through where floor boards had been removed. Remodeling costs are an important factor. An old rule of thumb recommends building new if the remodeling costs exceed two-thirds the cost of a new building. I recommend being very wary when remodeling costs begin to approach 50 percent of the cost of a new building. The amount that you might want to spend on a remodeling project will depend on how good the final space will be, how long the remodeled building can be used, and how easy the space is to work in. If a remodeled building will be used for many years and the space is very useful, more can be spent on the remodeling project. If the remodeled space will be poor quality and hard to use, it is hard to justify investing in the project. Buildings can be successfully remodeled into useful spaces after careful planning and evaluation. Remodeling can breathe new life into an underutilized building. The key to successful building remodel is good planning to ensure that it will be a labor efficient, useful space.